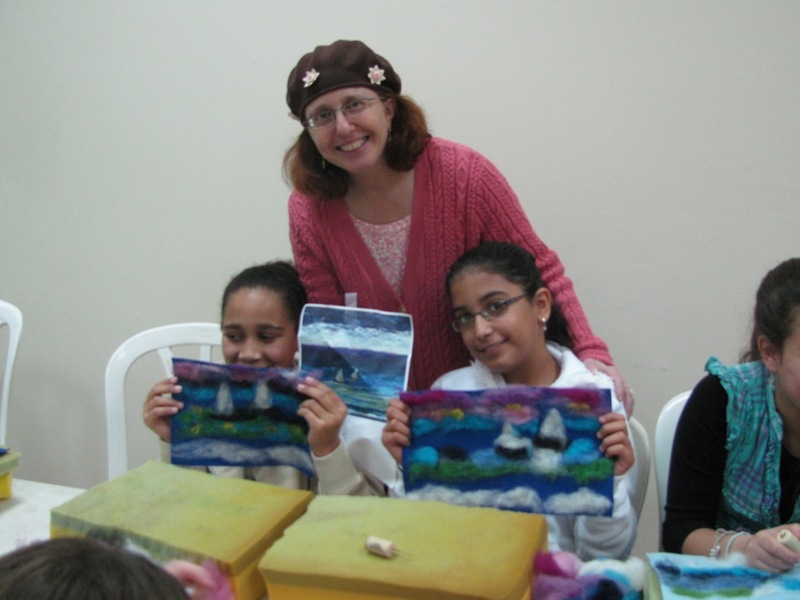 Thursday night Shulamit Montel and her friends enjoyed needle felting landscapes during Shulamit’s bat mizvah party. 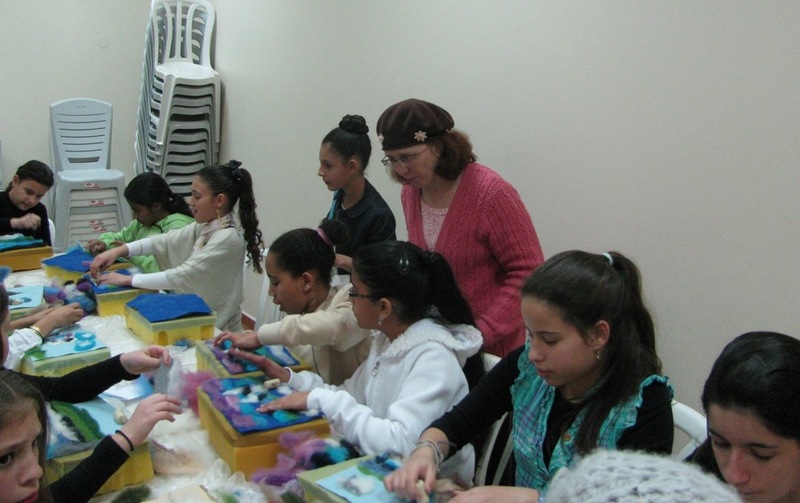 I taught a group of 12 year old girls to create needle felted designs during an hour-long activity. My daughter and I brought all the supplies and prepared kits to the hall. Each girl was able to choose a design she wanted to make. 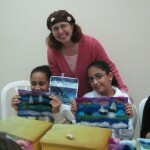 At the end of the activity each girl had a lovely keepsake to take home. 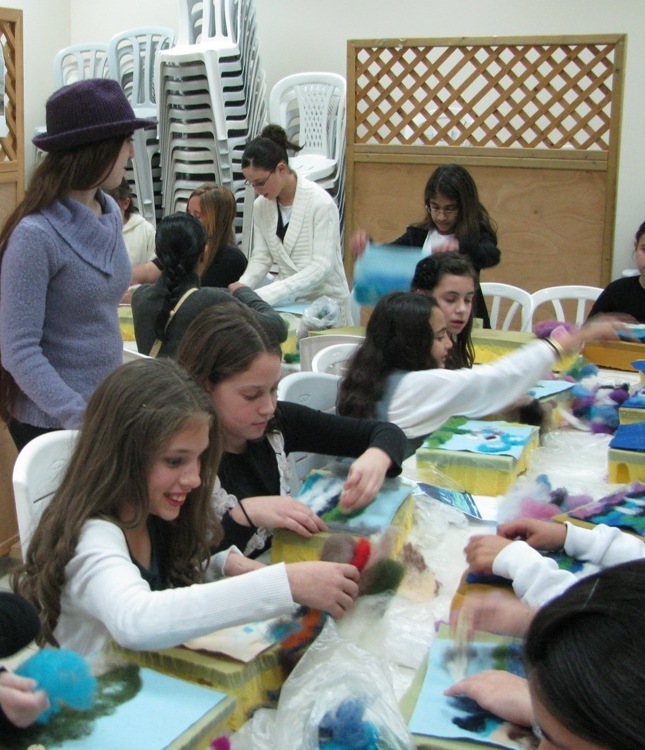 According to Judy Montel, Shulamit’s mom, “Shulamit and her friends, both her school friends and her bnei akiva friends, had a wonderful time with the project, and so did her cousins”. 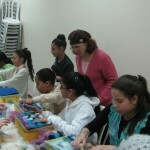 Teaching quilting can be so fulfilling and fun… also for the teacher!